American-born Mexican from El Paso, Texas. Jonathan began his musical studies at age 11 and began studying under Lavinia Richards at age 14. Since the latter, he has received numerous awards and honors. Among them is having qualified 4 times for the TMEA convention as an all-stater and being featured on WQXR and NPR’s From the Top. In conjunction with his appearance on From the Top, Jonathan was awarded the Jack Kent Cooke Young Artist Award. 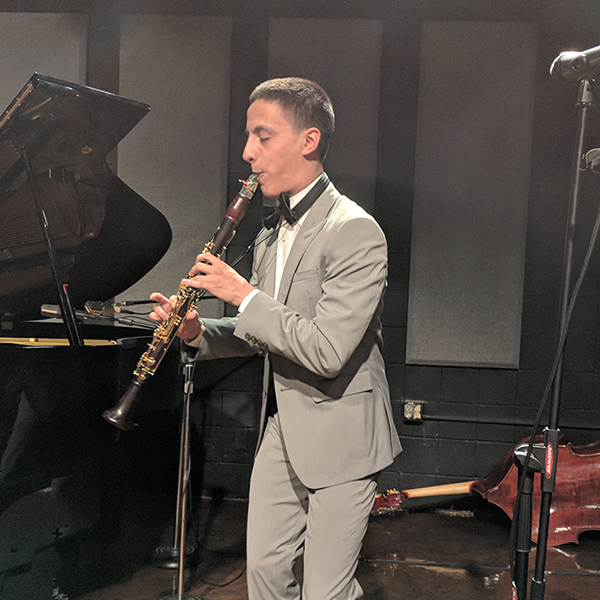 Jonathan has also participated in Carnegie Hall’s National Youth Orchestra of the United States of America and its sister program, the National Youth Orchestra 2. During these prestigious programs, he worked closely with renowned clarinetists Benjamin Lulich, Ricardo Morales, and Stephen Williamson. He has also partici-pated in master classes with Giora Feidman, Julian Bliss, and Corrado Guiffredi. Jonathan now studies at the University of British Columbia under Jose Franch-Ballester.